A curious mix of chaos and chilling atmospheres, Cadu T.’s Sobre a Maquina relies on trippy beats and meticulous, beautifully crafted timbres, bringing together minimalistic melodies and the complex, worn-out, “urban” sounds of the big city. Influenced by bands and artists like Throbbing Gristle, SPK, Tim Hecker, Fennesz and Can, the trio first got together when Cadu T. invited Emygdio C. and Ricardo G. to record some songs in 2010. Decompor, their first album, released in November 2010, garnered many compliments on countless alternative media sites. Sobre a Maquina released their second album, Areia, in July 2011. Areia is a new step that preserves their aforementioned simplicity with a new, wider array of complex influence, ranging from early industrial to free jazz. Areia features guest artist Alex Z. on tenor saxophone. 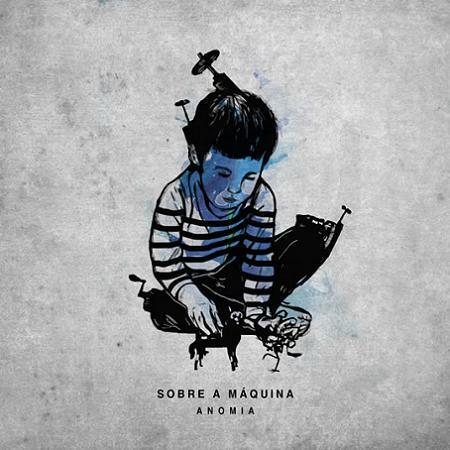 Now, in December, Sobre a Maquina’s Anomia, an EP with two tracks, completes the cycle of ideas which began on Decompor. The band has already started the arrangements for a new record conceptualized from absolute zero, which was sworn to be released within 2012.